our capacity to better serve you. 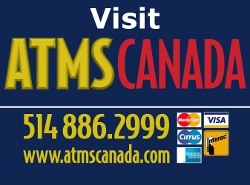 Atlantic ATMS Canada is a leading provider of Triton ATM machines in Atlantic Canada and is associated with Frisco-ATMS across Canada. We provide complete ATM Leasing Services coast-to-coast. 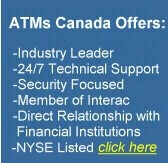 Atlantic ATMS has several packages to meet our customers needs (ATMS Credit Card Debit Machine Programs). You already own an ATM? 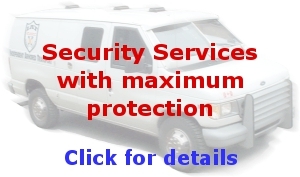 ATMs Canada in association with ISS Atlantic Security Services can offer you the management and vault cash replenishment service at a very competitive rate. Installation of Triton model ATMs. Vault cash currency required by the ATM, financed by Bank of Montreal and replenished by Garda of Canada and/or Osiris . Our maintenance is provided by certified technicians i.e. 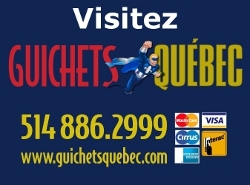 CIA, Les Entreprise Gaetan Lafrance, Centre Bureautique BC, BGM, Technoda which also provide ATM services to clients like Banque National, Caisse Desjardins, Frisco Bay Industries, Royal Bank, Bank of Montreal etc. Daily and monthly reports of transactions and additional incomes. Technical and Monitoring support available at all times by a qualified team of experts. Remote monitoring of the ATM in order to assure its optimal and continuous operation. Our area of business covers ATM leasing for New Brunswick, New Foundland, Nova Scotia and Prince Edward Island.